Springtime refreshes the imagination with flowers blossoms, weddings, and the misty scent of rain. 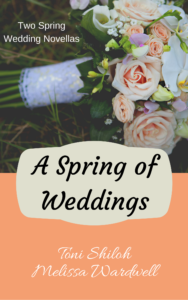 Toni Shiloh and Melissa Wardwell’s book, A Spring of Weddings, brings two unique stories revolving around romance and twitterpation. Interesting to me was that the wedding in Toni Shiloh’s novella isn’t about the main characters at all. It adds a unique twist in plot. Toni has an interesting way of assembling unchartered novels with distinct elements—such as a proxy wedding. This is a definite first for me. It seems crazy to me for a couple to get married without being in the same room, but apparently, it’s a thing. I love reading fiction for the pure joy of learning something I’d never known before. My one concern about A Proxy Wedding deals with the end of the book—and the falling out. It doesn’t ring true to me. However, overall, I thought it was a charming plot. In Hope Beyond Savannah, Melissa Wardwell’s novella, Nik and Lily are engaged. Then comes the mother-in-law. I know many couples can relate to the difficult trials of fitting in with the in-laws. Melissa combined conflict with sweet, romantic scenes between Nik and Lily. In the end, I thought the problems were resolved too quickly which made it hard to believe. I give these novellas a four-star rating. It’s a sweet, light-hearted read, perfect for staying inside on rainy days or sitting on the porch while warm sunrays beam down. I was given a complimentary copy of this book in exchange for an honest review. All opinions are my own. Thank you so much for sharing your review. 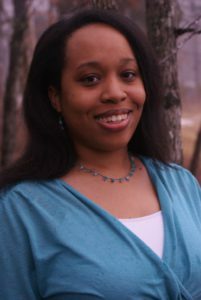 Toni Shiloh and Melissa Wardwell are two of my favorite authors. These stories are wonderful! Then a book with both authors must be perfect for you! I’m glad you stopped by. 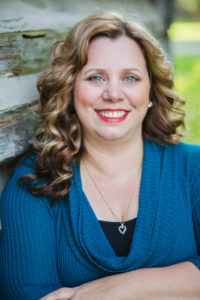 It’ll be exciting to see what Melissa Wardwell and Toni Shiloh have coming out next. Sounds like a good choice for a day when you’re tired and just need something light! Definitely! Thank you for stopping by! Two very sweet stories from two wonderful authors! !